* New photo photospecial page: Ovules on female Ginkgo tree in spring. * Added to my Art-page (stamps): Ginkgo stamp Japan (Aichi-ken). 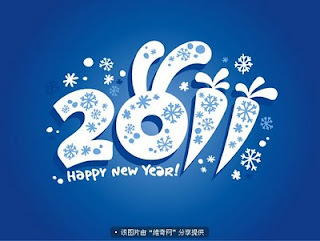 In China the Year of the Rabbit has begun. 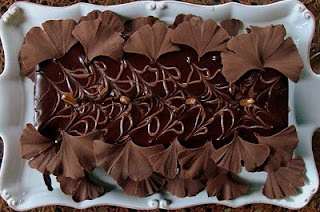 I found the following recipe by Ellen Kanner here. This veg-intense main dish is a traditional way to celebrate Chinese New Year. 2 teaspoons sesame oilPrepare bean thread noodles according to package directions. Rinse, drain and set aside. In a large skillet, heat oil over medium-high. Add garlic, carrot, mushrooms and cook, stirring, 4 minutes, until vegetables are soft and fragrant. Add bamboo shoots and cabbage. Cook a few minutes, until greens start to wilt. Add broth, bean thread noodles, bean curd, bean sprouts, ginkgo nuts and snow peas. Cover pan, reduce heat to low and cook 5 minutes. In a small bowl, mix soy sauce with cornstarch until smooth. Add to pan and cook, stirring, a couple minutes, or until sauce thickens. Drizzle sesame oil on top and serve at once. Makes 4 to 6 servings. Per serving (based on 4): 266 calories, 31 percent from fat, 9.6 g fat, (1.3 g saturated fat, 2.8 g monounsaturated) 0 cholesterol, 6.2 g protein, 41.8 g carbohydrates, 4 g fiber, 681 mg sodium. * Added new video on my YouTube channel of Ginkgo biloba 'pendula' in Jardin Godron, Nancy - France. More 'pendula' trees on this special page. * Added new topic: Ginkgo afforestation project in Argentina. Students of Lincoln School in La Plata, Argentina, help to plant the living fossil Ginkgo biloba in La Plata. 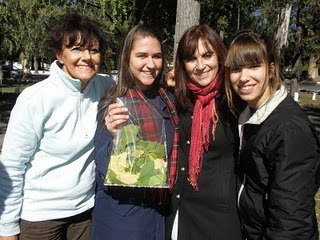 After successfully ending a first Ginkgo-project, now an afforestation project has been initiated by teachers Inés Fangano (biology) and Virginia Gentile (biodiversity). 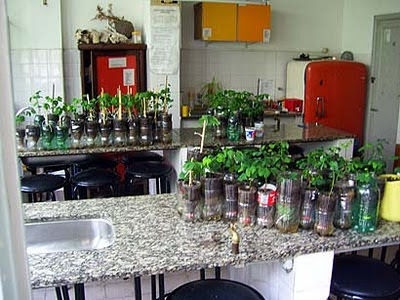 Students gathered seeds and planted 100 seeds in pots to grow in an experimental nursery. In a few years the trees will be planted in the school yards and several other places in La Plata.